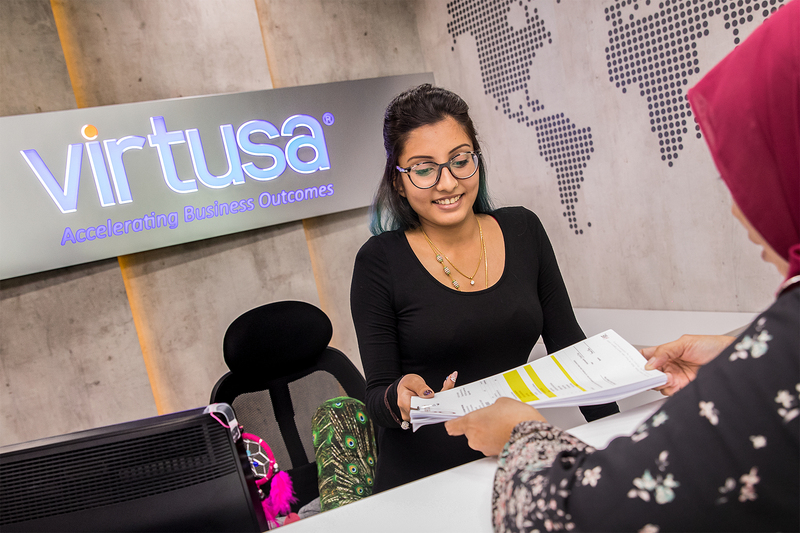 Virtusa opens new technology centre in Singapore « Tech bytes for tea? Last year, Virtusa acquired a majority interest in Polaris Consulting & Services Limited (“Polaris”) to leverage the market presence and deep relationship that Polaris has built in the financial services space. “We are very excited about this new investment in growing our business footprint in Singapore. This streamlines our efforts as we continue to expand in the Southeast Asian region, with Singapore as our regional headquarters. Our Singapore facility will also be an important part of our overall strategy to build world class digital transformation solutions,” said Roger Keith Modder, Chief Operating Officer, Virtusa, at the opening. 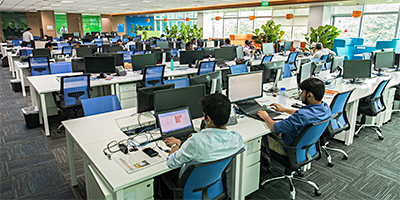 During the integration period, Virtusa created a new market facing brand, VirtusaPolaris, to represent the combined strengths of both companies, including the strong software engineering heritage, deep domain expertise and focus on applying innovation to solving critical core business issues for clients. Having successfully completed the integration, it is moving towards the parent brand of Virtusa. In its commitment to delivering targeted business outcomes through differentiated solutions leveraging its proven platforming methodology, domain expertise and technology innovation; Virtusa’s operational excellence solutions allow its clients and partners to improve business and operating efficiencies while reducing costs through automation, effort compression and simplification. Virtusa’s new technology centre in Singapore. Photo: Virtusa. By implementing digital transformation and innovation solutions, Virtusa has made progressive efforts in developing technological solutions in areas such as artificial intelligence (AI), robotic process automation (RPA), and blockchain – to offer to its clients and partners following the rapid growth of the FinTech movement. “The new facility has been designed to include a Pega Centre of Excellence, reiterating Virtusa’s increased focus on our long-term commitment to hiring from the local Singapore talent pool, and continued nurturing of our employees. We have been working closely with statutory bodies in Singapore to ensure that we complement our core with a good balance of global and local talent, allowing us to build strong multi-disciplinary teams.,” added Modder. This aligns with Virtusa’s digital transformation and innovation solutions empowering companies to accelerate business growth by reimagining the consumer experience and creating lasting value. Virtusa Corporation (NASDAQ GS: VRTU) is a global provider of information technology (IT) consulting and outsourcing services that accelerate business outcomes for Global 2000 companies and leading software vendors in banking and financial services, insurance, healthcare, telecommunications, technology, and media & entertainment. Virtusa helps CXOs’ address the dual challenge of growing revenues while improving IT cost efficiencies. Virtusa’s digital transformation & innovation (DTi) solutions enable clients to reimagine the customer experience, accelerate revenue growth and create lasting business value. The company’s operational excellence (OE) solutions help clients reduce risk, improve operational efficiencies, and lower IT costs. This entry was posted on Friday, October 20th, 2017 at 3:39 pm and is filed under Big Data, Blockchain, Business IT, Cloud, Enterprise IT, Events, events, Fintech, Internet of Things, IoT, Launch, Press Release, Virtusa. You can follow any responses to this entry through the RSS 2.0 feed. You can leave a response, or trackback from your own site.